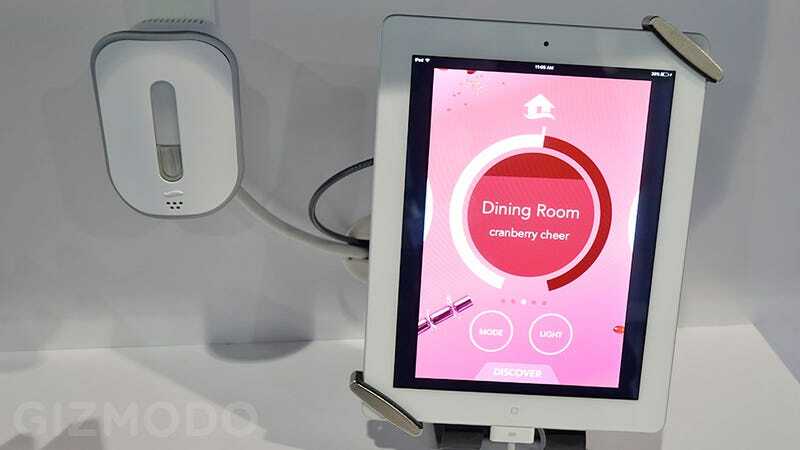 For $49, if you pre-order at CES, Procter & Gamble will sell you what is probably one of the least essential smart home devices announced at the show this year: a wi-fi connected scent dispenser that lets you make any room smell like a Yankee Candle store right from your phone or tablet. Through the Febreze Connect’s app you can schedule when one of the device’s two scent-cartridges are released into a room, keep tabs on fluid levels in said cartridges, and even have the backend automatically order refills when a room stops smelling like a lavender wonderland. Most importantly, it’s a good reminder to be happy and content with your disconnected dumb home.